Are very intelligent , also very bid-able due to their pedigree. 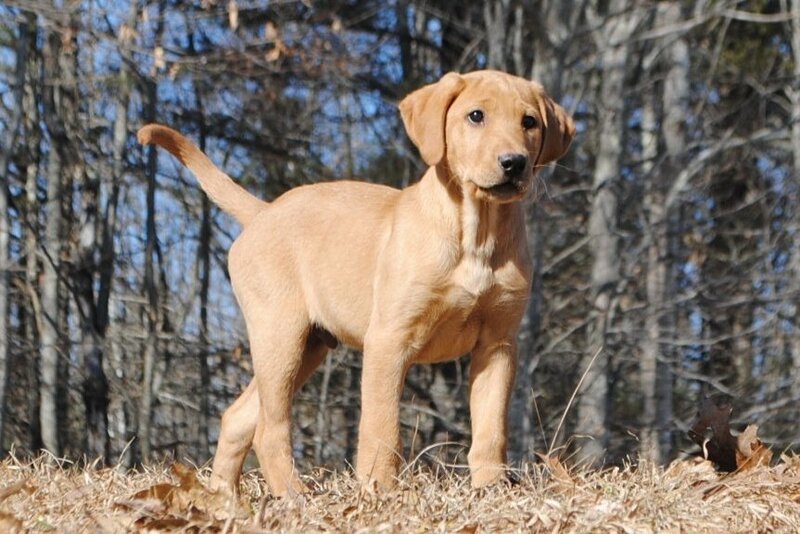 Their looks and demeanor exemplifies the Labrador Retriever so sought after today. It's no wonder that they turn heads in the field. They are gifted through genetics for tremendous marking ability and intense desire is obvious. loves to work, and will do whatever is requested. Their diligence has earned them many different titles to date...Once their Hunt and field work is done...we will be turning toward other venues of competition such as tracking and obedience.. 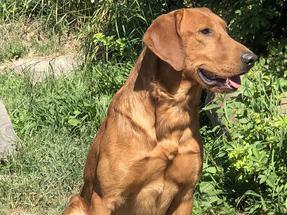 They are handsome and rugged They are dogs who are extremely sensible and hard driving with the wonderful Labrador temperament. There pedigrees includes many of the top producing and winning Labs of all times......Please ask for a copy of their pedigree. u Pricing subject to change without notice. u Females must have have all clearance certificates, and current negative Brucellosis test. u Airport transportation fees, boarding fees, veterinary service fees may be applicable and are the responsibility of the owner of the female. The American Kennel Club has many events in which titles are offered. 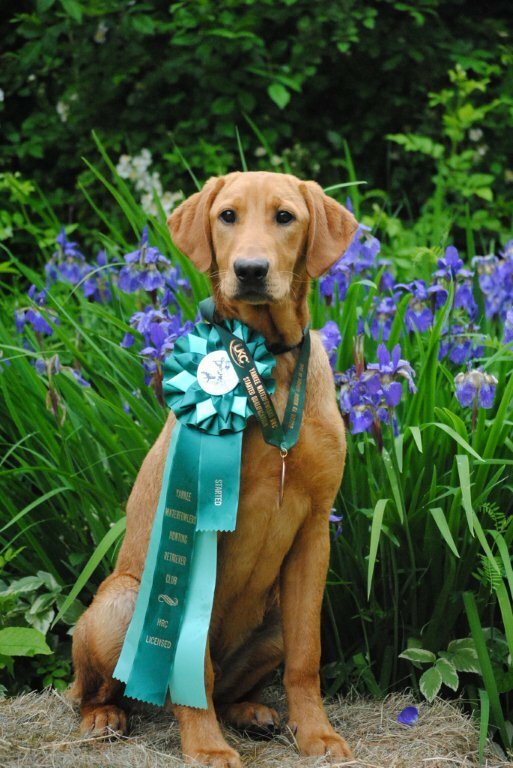 Dogs who achieve these titles are entitled to have them listed on their pedigrees and certificates, and in event catalogues. 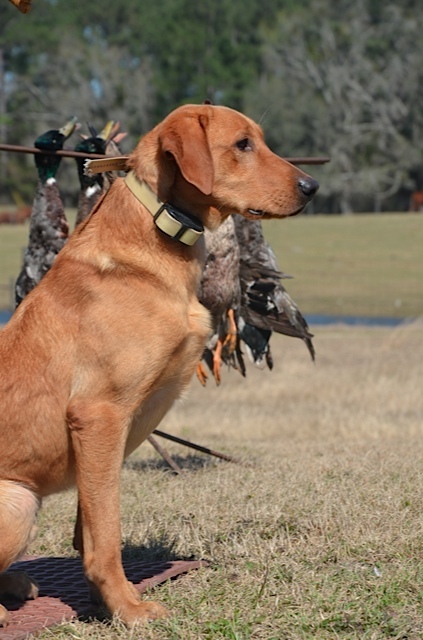 These titles become an official part of a dog’s record with the AKC. Some titles are appended to the beginning of a dog's name, and others are appended after the dog's name. 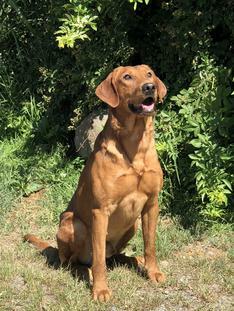 Note that titles earned in a foreign country, or under non-AKC rules and regulations, are not shown on AKC pedigrees, certificates, or event catalogs. Reg name is Luking Good... Call Name is "Primer"